Data is a critical business asset, but most organizations still don’t have mature processes for converting data into insights. 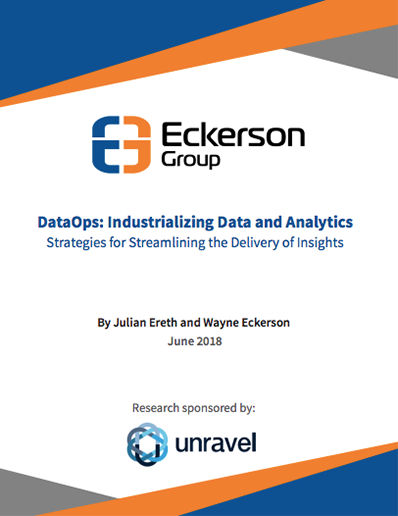 • Increase the value proposition of data and analytics by industrializing processes. • Speed up processes and increase quality by providing streamlined data analytics pipelines via deep levels of automation and testing. • Support the management and orchestration of heterogeneous technologies and stakeholders. Unravel is a big data application performance management platform (APM) that helps you improve performance and reliability of applications created with Spark, HBase, Kafka, Hive, Hadoop and NoSQL systems. © 2015-2019 Unravel Data. All rights reserved.